A new and exciting combination of colours! Soft rosy buff standards. 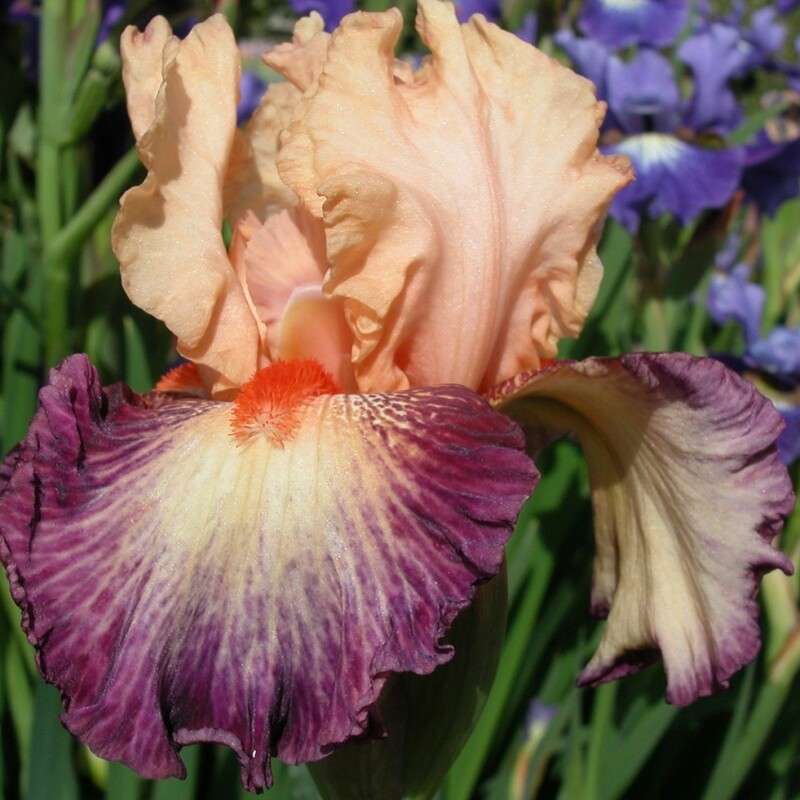 Bright pink-purple falls with a large cream centre embellished with a long, thick and bright orange-red beard. Medium-sized flowers harmoniously displayed on perfectly branched stems. Shines like the sun! 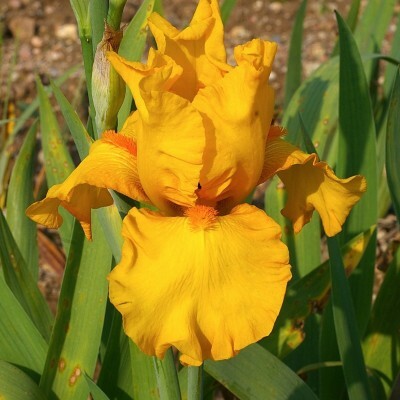 Entirely pure golden yellow with deep golden yellow beards. Gently ruffled flowers of excellent substance. Remarkably well branched stems. A new pattern: white falls decorated on the edge with thin bright blue-violet veins. Perfectly pure white falls and red-orange beards. Huge flowers on perfect stems with 8 to 9 buds. 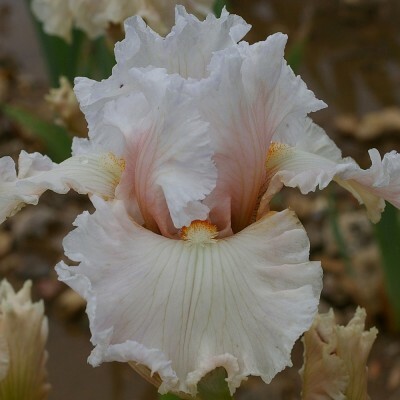 Difficult to find a more elegant iris: white standards toned with pink at the base. Wide pinkish white falls boasting discrete light green veins. White beards tipped with red. 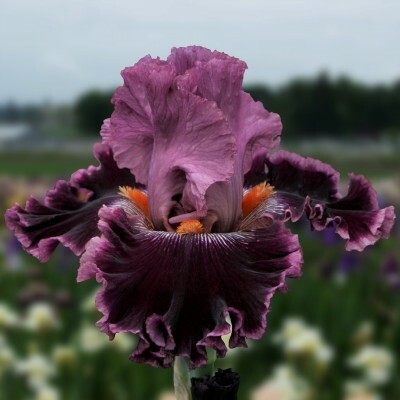 Large-sized flowers, nicely laced and ruffled.